Murray Hill Inc. is taking democracy's next step--running for Congress. The campaign of the first corporation to run for Congress has shaken the political establishment across state and party lines. In the latest development, the Maryland Democratic Party [MDP] today emailed its supporters a fund raising pitch soliciting contributions to thwart Murray Hill Inc.’s historic effort to secure the rights of corporate persons. The MPD message begins, according to Murray Hill Inc., with an objective and correct summation of the Court decision. But the next line, according to Murray Hill Inc., goes too far. Nonsense, says Murray Hill Inc.
“Every individual matters?” commented Murray Hill Inc. “Bodied politicians just do not understand the futility of individual effort." Combating prejudice and bias against corporate persons is one of the primary motivations behind Murray Hill Inc.’s run for office. Murray Hill Inc. is running as a Republican in Maryland’s 8th Congressional District, and recently announced it was offering franchise opportunities to other corporations seeking to exercise their constitutional rights. Our historic campaign is developing its next campaign video—and you can be a part of it! Upload your personal video endorsement to YouTube. We’ll select the best entries for our new campaign commercial. It is a new day. While the fundamental principle of the Murray Hill Inc. for Congress campaign is to eliminate bodied humans from the electoral process, the corporation knows you will require a transition period. That’s why first-person endorsements are so important right now. Help your fellow bodied persons accept this new day. Record a message from 15 to 30 seconds long. Submissions over time limit are not eligible. Send your submission as a video response to our "New Day" commercial. We must support this historic corporate civil rights struggle. Political corruption and the rising cost of campaigns will stop when we get rid of the greed and self-interest of bodied humans. All submissions must end by you saying “Murray Hill Inc for Congress—because corporations are people too!” Submissions must have this tagline to be eligible. Sample script: "The supreme court secured the future our founding fathers envisioned for everyone. Murray Hill Incorporated for Congress. Because corporations are people too!" When you submit a video, you agree it is licensed under a Creative Commons Attribution 3.0 United States License. All videos will appear as responses to our original campaign commercial. Potential finalists will appear on our Murray Hill Inc. for Congress YouTube channel. Thank you for helping fellow bodied persons accept this new day! My name is Eric Hensal, designated human, DH for the baseball minded, for Murray Hill Incorporated's 8th district congressional campaign. Duly authorized by shareholder resolution, I speak for the corporation, and, by proxy, all corporations in this new world of corporate civil rights. With the supreme court's Citizens United decision, our corporation saw a new day. A day when we are not judged by having a body, but the by balance in our bank accounts. Just as our founding fathers meant for us. Corporations are people too! This belief is our campaign's heart and soul, if corporations believed in such superstitions, that is. And this enlightened decision finally puts such superstitions to rest. This case is not about corporate first amendment rights—all nine justices agree we have them. No, the majority made a different, bold stroke. By equating money with speech, speech becomes a product. A toaster, if you will. Bodied people who speak are are simply product packaging. The majority opinion casts aside the 18th century superstition that we are endowed by a creator with inalienable rights. There is now nothing special about bodied people, no difference between them, the corporate and toasters. This decision does not elevate corporations, but sets a lower and fair market value on bodied persons. The justices crafted an elegant, thoughtful decision which I am sure they all rightly see as their Brown versus Board of Education, and not the Dredd Scott as some alarmists claim. It is now time for a corporation to run for office as the person the court says we are. Murray Hill Incorporated is moving into this new democracy market, positioning ourselves early as a leader in manufacturing consent. Our view is people get in the way of politics. There are over 500,000 bodied elected officials in the United States who daily complicate corporate life. With corporations now free to purchase as much speech as possible to influence every government level, unchecked officials will ask for ever-increasing contributions, auctioning votes to the highest bidder. Our business model will succeed because we will cut out these middlemen by running corporations directly for office, increasing profits for everyone. 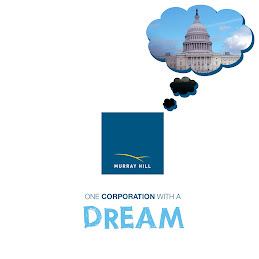 The Murray Hill way will provide government to corporations at the lowest wholesale price. And with corporate accounting, the books will always look good. I am sure there those in the audience uncomfortable with this new day. We can only say, get used to it. Our entire political culture rests on a corporate worldview that will quash any effort to set back our civil rights. Campaign finance laws? Our supreme court majority is young and will keep knocking out statues like a day at the driving range. Constitutional amendments? The last one took 200 years to enact. Shareholder resolutions for political spending? That's done in five minutes. A real assault against us would be changes to corporate law to increase shareholder influence and promote union organizing. Actions like these would force today's confused politics into corporate governance and, perhaps, make the corporate as accountable as the bodied. Our research department, however, assures us that any bodied opposition will pursue predictable lines. So, today, our campaign's primary marketing objective is for the bodied to embrace this new corporeal diversity. Murray Hill understands that corporations may live forever, but we need cubicles filled every day, cleaning crews at work every night and, for the time being, votes cast every election. Our goal is for the bodied to see that following corporate enlightened self-interest is the only way and that it will make the world a better place for us. Let me assure you that Murray Hill eventually cares for the bodied person. After all, you are people too! Murray Hill Inc., the first corporation to run for federal office following the Supreme Court ruling in Citizens United v. Federal Elections Commission, announced today it was franchising its campaign for Congress to other corporations. “Our goal is to create a truly national movement to call attention to the Supreme Court's ruling establishing the rights of corporate persons and what that means for everyone in our country,” Murray Hill Inc. said in a statement. Since Murray Hill Inc. launched its campaign in late January, its YouTube video has drawn 170,000 views and its Facebook page acquired 2,600 friends. The campaign has been covered by the New York Times, Newsweek, Atlantic Politics, the Huffington Post, Daily Kos and numerous news sites and blogs. Designated Human Eric Hensal and Campaign Manager William Klein have appeared on MSNBC, the Thom Hartmann show, the Alan Colmes show, the Kojo Nnamdi show and other radio and TV programs. But now, says Murray Hill Inc., it’s time to roll out the campaign for equal rights for corporations to other districts and states across the U.S.
Murray Hill Inc. has prepared step-by-step toolkits for corporations to use in their own Congressional campaigns, under the rubric of the Murray Hill Inc. “brand.” The toolkits include a model press release, franchise overview, media outreach guidelines, talking points and templates for campaign materials. The first corporation to enter into a franchise agreement with Murray Hill Inc. is Computer Umbrella Inc. of Sterling Virginia. Computer Umbrella’s own Designated Human, Jonathan Stewart, is charting the corporation's run for U.S. Congress in Virginia’s 10th District. Show support the way corporations do--buy it! Until now, corporations only influenced politics with high-paid lobbyists and backroom deals. But today, thanks to an enlightened supreme court, corporations now have all the rights the founding fathers meant for us. That's why Murray Hill Incorporated is taking democracy's next step-- running for Congress. Support our free speech spending! Murray Hill Incorporated will use corporate profits to tell the world that elected leaders and the Supreme Court believe corporations are people too!